The Lennon Sisters. 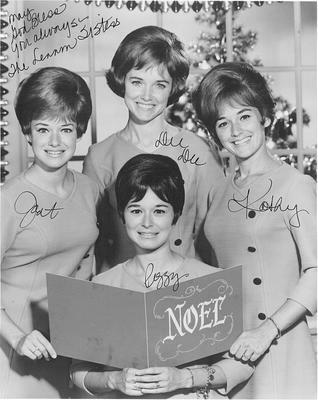 The hugely successful sister singing act of the '50s and '60s, The Lennon Sisters.. Wallpaper and background images in the Rock'n'Roll Remembered club tagged: the lennon sisters 50s music rock'n'roll 1950s band photo. This Rock'n'Roll Remembered photo might contain sign, poster, text, chalkboard, laptop, laptop computer, portrait, headshot, and closeup.